Multichannel operator Studio71 has expanded its UK business by hiring a local managing director and had added a US-based scripted chief. Former StyleHaul executive James Stafford will lead a new UK-based studio as MD, while Broken Road Productions’ Jeremy Stein is joining as senior VP of scripted content. Part of Stafford’s duties will be working up content for UK broadcasters and YouTube Red, the Google-owned SVOD service. He will also work on branded content, and oversee all operations in the millennial, lifestyle, parenting and kids spaces. Stafford was previously SVP of Europe for RTL-owned MCN StyleHaul, which focuses on fashion and beauty. 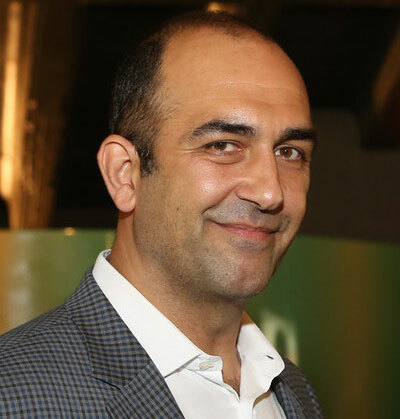 “As we continue to explore the full potential of social content and distribution, we’re focusing on key areas in the UK that will allow us to solve complex problems for both creators and brands, beyond just advertising and product placement,” said Studio71 global CEO Reza Izad (pictured). Stein, meanwhile, is tasked with sourcing and producing scripted content for digital, film and television platforms. He’s best known in TV circles for overseeing the television arm of US-based Broken Road, which is the upcoming MTV series Snack-Off. The news comes after Izad replaced Sebastian Weil and Ronald Horstman as global CEO of the business, which wasformed when Germany’s ProSiebenSat.1 bought into Collective Digital Studio in 2013. France’s TF1 and Italy’s Mediaset both took stakes in the business earlier this year as they seek to expand their online channels operations. ProSieben remains the largest shareholder, with a stake of 70%. Studio71 claims around six billion views a month worldwide and is launching in new European territories.